The roadworks in the village are proceeding nicely. The road is repaved to the end of our street, so that makes it less fussy to get in and out (or would if we had a working car, more on that in a mo). 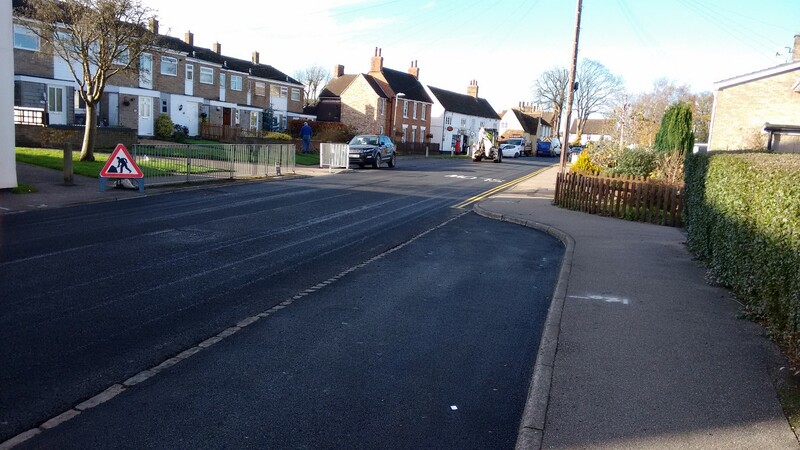 They had only done the road painting to that point when I was doing the school run, though I saw a truck turn into the street marked ‘line painting’. It’s probably a fairly safe guess that the road is painted further along now, but I’ll see it when I do. Yes, we are still down a car. The mechanic here in the village got under the hood properly today and was like, nope, get this to a proper shop, sorry that you’ve had to wait through all of this. Fair enough, and we don’t fault him — he has been fantastic to work with, and would use him again in future. So Z drove it down to our ‘normal’ mechanic, and we’ll see what the damage is. It’s frustrating, but it will be what it is. And worst comes to worst… well, in-laws have already pulled Z aside and given him a figure if we need to replace the car. I hope that it doesn’t come to that, but I never cease to be humbled and awed by their generosity to us. I know that it pleases them to be able to lend a hand, but still. Still. So with that in mind, it’s fair to say that I continue in my preferred program of doing nothing over the weekend. I’m exhausted and really just want to not move — so I am going to do exactly that.